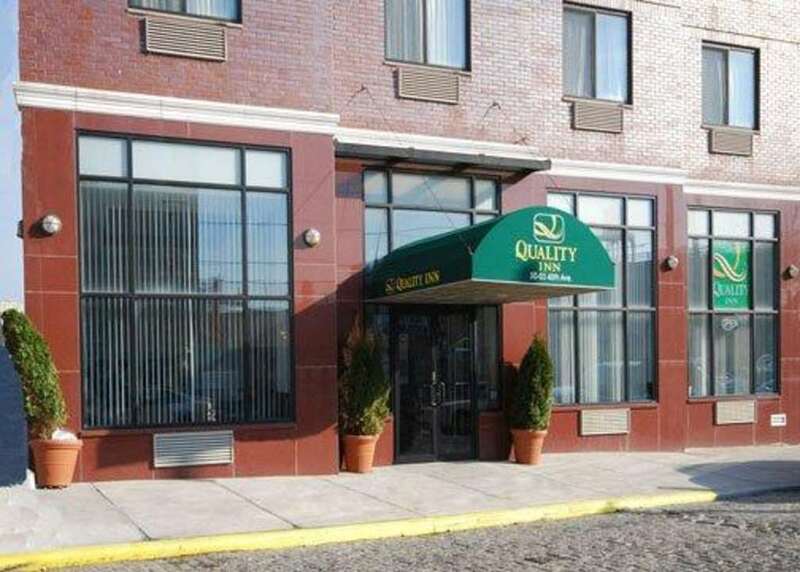 The Quality Inn hotel in Long Island City, NY gives you real value with peace of mind so you can enjoy the people and places you came to see. We offer easy access to the major New York area airports, including LaGuardia Airport, Long Island University, Citi Field, Arthur Ashe Stadium, Aqueduct Racetrack and Manhattan. Enjoy our amenities that include free continental breakfast, free WiFi, free weekday newspaper, free coffee and a business center with copy and fax services. Each relaxing guest room features a TV, coffee maker, desk, hair dryer, iron and ironing board. Select rooms offer a refrigerator and a hot tub. Also, earn rewards including free nights and gift cards with our Choice Privileges Rewards program. PARKING: Municipal lots within walking distance at a fee.